Home » General Interest » What is a Planet? ; How should a Planet be Defined? Science is supposed to be precise in its definitions, proofs and theorems. Its something today that we just expect so it may come as something of a shock that the definition of one of the most fundamental of celestial bodies, a planet, wasn’t actually defined until 2006 ! The term planet was first coined by the ancient Greeks, with the term asteres planetai or “wandering stars”, for star-like objects which apparently “moved over the sky”. Due to the lack of any formal definition this term came to include within its scope a wide range of celestial bodies so that over the millennia, the term has at some point included objects, from the Sun, the Moon , satellites and even asteroids. 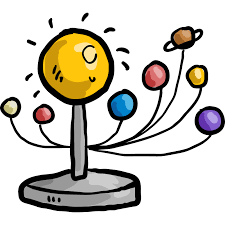 By the end of the 19th century (with planet still undefined) it had become a working term applied only to a small set of objects in the Solar System. Basically celestial the bodies that we would be familiar with today. My Very Easy Method Just Speeds Up Naming Planets. However, a mini-crisis came about during the 1990s and 2000s when a number of other astronomical objects similar in size to Pluto – which was by then understood to be a member of a diffuse collection of objects called the Kuiper belt– were discovered. This then led to a fierce debate regarding what exactly constituted a planet. Pluto fails to satisfy the final condition and was subsequently downgradedbas a result (it, and similar objects, are now known as plutoids).